Hodja lives in a small desert village with his parents and faithful goat Raya but spends his days dreaming about the big, adventurous world beyond the mountains on the horizon. Hodja's father is not supportive of his son's dreams and insists he stay put because the world is not adventurous but rather incredibly dangerous. 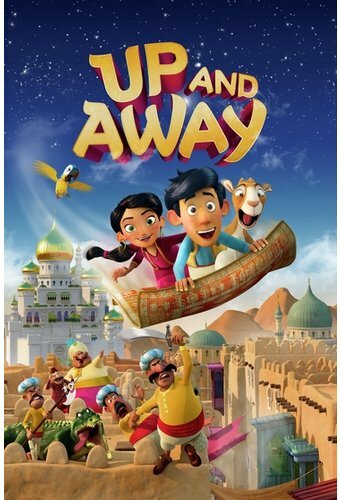 When Hodja is asked to visit the capital city of Petto on a fantastical flying carpet and bring back a village man's young grandchild, he grabs it with both hands. Upon arriving in the chaotic capital, however, Hodja's magic carpet is stolen by one of the sultan's goons. At his lowest point Hodja meets a clever girl named Emerald who offers to help him sneak into the palace and get the carpet back.